Shrink Wrap Abs - Get Ripped Abs Now! The only reason for the tremendous sales increase in Rusty's program is because it gets results. Guys are NOT going to spend money on fluff, or rehashed nonsense from other courses. If your ab development has stalled, if you are not getting the lean Hollywood look that appeals so much to chicks, if you can't drop those last few percentages of body fat...Rusty's book can get you there. * The main book is 72 pages and tells you why this system works...and how to design your own workouts for the future. * His 3-Phase Plan will get you started immediately. * You can use the equipment you like best: free weights, machines, kettlebells...or just body weight exercises in your apartment. * Rusty has 10 pages of Questions & Answers to help you quickly understand the program, and the changes in training you will be doing. * To give you a variety that will keep your muscles continually stimulated, Rusty also includes a 225-page book on Exercise Demonstration. * Learn how both lifting heavy and lifting light affect muscle density, and when to make switches in your training. * You also receive printed workout charts that you can take with you to the gym if you wish. If you want to look more cut, if you want to look more like an athlete, as opposed to a puffed up bodybuilder, if you want to shrink wrap abs while others wonder how you got that way...Rusty's unconventional program is what you want. 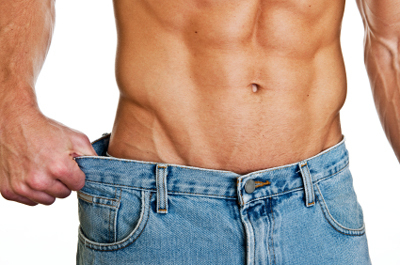 It has helped 1000's of other guys get ripped, and it can help you.